Every business needs its own website these days. However, a lot of businesses go overboard and include too many pages, when fewer would get the job done just as effectively. Doing the same means you may waste time setting up pages no one will use when you could be doing something more productive. By the time we’re done, you’ll know exactly what pages to build when you create a business website. Let’s get to it! 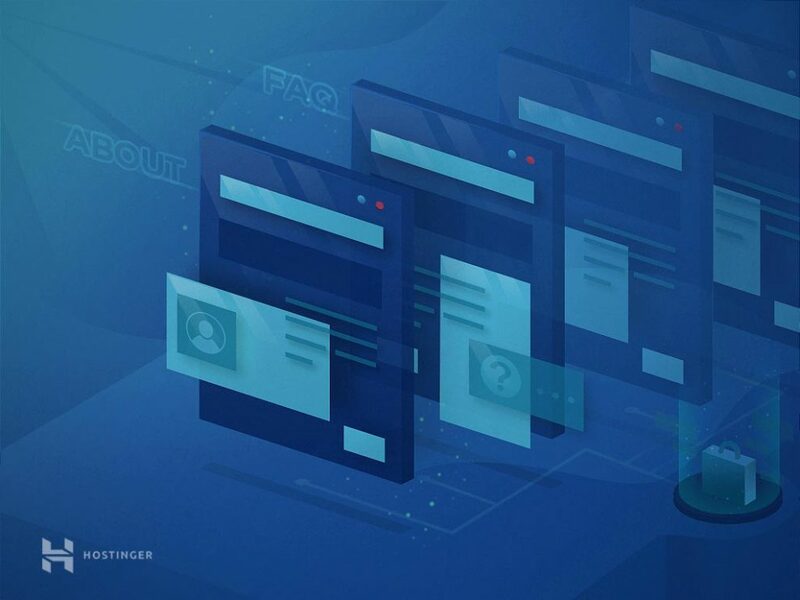 If you take a close look at some of the business websites you frequent, you’ll probably notice that many of them include a lot of filler information. For example, if you set up a business website for a local furniture shop, chances are it doesn’t need a dedicated support section. Ideally, every website should only include pages that its visitors will be interested in. However, in practice, figuring out what pages to include when you’re learning how to create a business website can be a challenge. Agency websites. For this type of website, you’ll probably need a pricing page, information about your team members, a contact section, and a portfolio. Local business sites. When it comes to local businesses, you always need a contact page, information about the products or services you offer, and most likely an About Us section. Online service websites. For online businesses, you’ll need pricing and support pages, as well as examples of your work, terms of service, and the ever-important contact page. The main takeaway here is that every business website is unique. There’s no universal formula when learning how to create a business website. That means you need to take a close look at what your goals are, to figure out what structure your website should have. However, there are a number of page types that are very popular among business websites, and useful in a wide range of situations. If you know what they are and when to use them, the process of creating a business site should go much more smoothly. Now, let’s look at seven of the most common and important types of pages for business sites of all stripes. For each of these pages, we’ll show you an example, explain what it should include, and talk about when it makes sense to use it. You can use whatever combination of these pages makes the most sense for your own business site. A Contact Us page enables visitors to get in touch with you, and pretty much any website can benefit from one. Contact Us pages are very straightforward. They often contain a contact form visitors can use to get in touch with you directly, but there’s no reason to stop there. 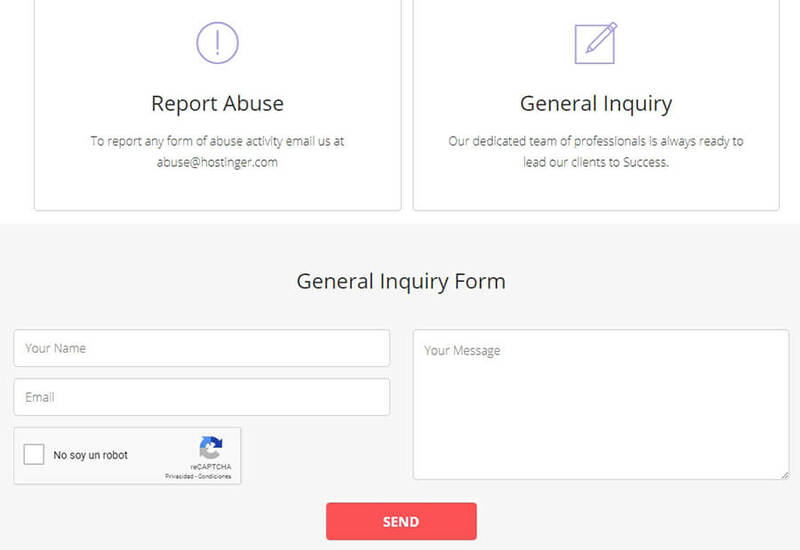 For extra points, you’ll want to consider adding multiple contact options alongside that form. At the least, this should include your business email address and a phone number. You can even make the latter a clickable button, which visitors can use to call you directly. If your business has a physical presence, your Contact Us page is also the perfect place to include a map that shows your location. For this, you can use a service such as Google Maps, which enables you to embed maps on your website and highlight specific locations. This also makes it simple for visitors to get directions. In many ways, your Contact Us page will double as a “How to find us” section. This is vital for any business, as it tells people that you’re open to contact and there are plenty of ways to reach you. An About Us page lets visitors know who you are and what your business stands for. In many cases, people are wary about doing business with companies they don’t know anything about. Imagine, for example, that you’re looking for attorneys in your area. One of your first stops will probably be Google unless you know someone who can give you a referral. Using the search engine, you’ll probably be able to find tons of options quickly. So many, in fact, that you may want to narrow down your options by taking a look at how professional each website looks. What’s more, you may be most comfortable getting in touch with an attorney who goes the extra mile and includes some personal information on their website. Even if you’re running a massive business, it’s almost always a good idea to put some faces on show that represent who you are. About Us pages and team member bios give you the perfect opportunity to humanize your business, by showing visitors the people behind the company and telling a story about how you got where you are. Plus, including head shots on your website has been shown to help increase conversions, since it’s a way to build trust. In other words, the more ‘authentic’ your business website appears, the less likely it is that you’ll come across as a faceless corporation. A FAQ can help visitors find the information they need, and saves you from having to answer the same questions repeatedly. A lot of business websites can benefit significantly from including a FAQ page. Depending on the size of your business and what type of services you offer, you can even go a step further and set up an entire knowledge base. How do I submit my own designs? What measurements do you work with for your shirts? Do you ship worldwide or to specific regions? In this scenario, setting up a FAQ page would be a perfect solution. It would save you from having to answer the same questions over and over again via phone or email. To be fair, you will still have to deal with some customers who can’t be bothered to read your FAQ page. However, that’s par for the course when you’re running any type of business. Even then, in many cases you can simply redirect those customers to your FAQ, where they can find all the information they need. What’s most important is to write the answers on your FAQ page carefully. Make sure they’re clear, concise, and as straightforward as possible. This should help to relieve the burden on your customer support staff, making an FAQ page vital for all but the simplest of online ventures. A pricing page gives potential customers all the information they need to make an informed decision. If you’re lucky enough to run this type of business website, you’ll want to create a dedicated page for pricing information. That way, you can add as much information as you want about all your offerings, without cluttering up the rest of your website. Visitors can compare all of their options quickly. You can summarize the benefits of each product or plan. You can highlight whichever options you want your visitors to choose. Of course, not all businesses are well suited to pricing tables. For example, if you need to talk with clients before you can quote them a price, then it doesn’t make much sense to include a pricing page on your site. In those cases, it’s better to focus on your Contact Us page instead, and make it clear that you can’t give out quotes without knowing what your potential client’s requirements are. A support page lets visitors know you’re standing by in case they need any help. If you run any kind of business where people need to get in touch with you regularly for support queries, you need a dedicated page for that purpose. To be clear, an excellent knowledge base or FAQ is still not a replacement for a support page. Ideally, people will look at the former first to try and find any information that can help them. If their question or problem isn’t answered there, however, they’ll need to get in touch with you for some hands-on support. In most cases, support pages will include at least one way for visitors to get in touch with you. This could be a form, live chat feature, or even a forum where they can post questions. With WordPress, adding any of these features to your support page is relatively simple. There are plenty of contact form, live chat, and community plugins you can use on your website. Contact forms. With email, you don’t need to reply to queries instantly. However, you’ll still want to respond in a timely manner. Live chat. When people use live chat, they expect quick answers. Therefore, this method requires you to make yourself (or your team) available throughout the day. Community forums. The advantage of this approach is that visitors can see what other people are asking and what the existing responses are. This, in turn, may help them solve issues on their own. However, you probably don’t need a support page if you’re not running a business that provides an online service or ships products. For a physical business, people are more likely to come by your place of work or even contact you via phone when they need help. More importantly, you also have a responsibility to your visitors to keep their information secure. If you don’t, then you might face some liability. In addition, providing clear information upfront is an excellent way to promote trust and improve your credibility. Your terms of service should outline all the details about who can use your products and what you’ll provide for them. The terms under which you can deny service. What users can expect when they hire you or purchase a plan. Any other legal requirements relevant to your niche or industry. However, if you’re not planning on using your website to sell online services, then you probably don’t need a Terms of Service page. For a physical business, you’ll likely have other measures in place to protect yourself. Do you have any questions about how to create a business website with WordPress? Let’s talk about them in the comments section below!